Steve Jobs: A Perfect CEO? Harvard Business Review have released a podcast (Here) to commemorate the recent death of Steve Jobs. I understand Steve wasn’t the easiest person to work for. But he certainly got results and Apple’s designers produce some of the best computing and communication devices in the world. One of the most touching things about his death this week is that millions of people found out while using one of Apple’s products. 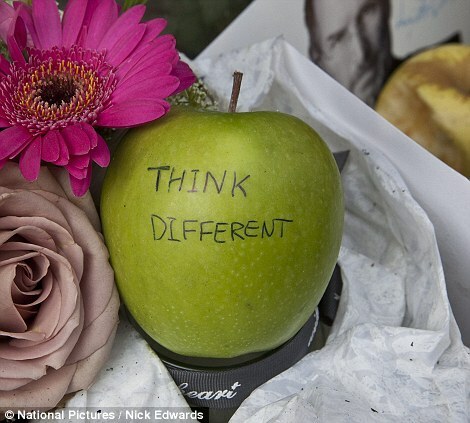 The photo in the press, showing how people have started to leave apples, with a bite taken out of them, outside Apple Stores is herd tribute that’s fascinating.